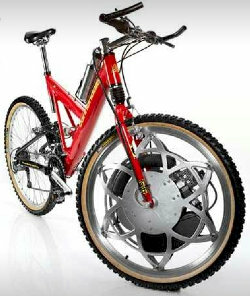 The Wheel is brand new patented technology, incorporating the engine and gear train entirely within the front wheel. It can be installed on most existing bicycles around the world. 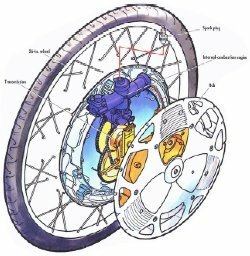 You simply replace your existing wheel! 200 mpg; 12 lbs of added weight; 20 mph top speed; very quiet operation; low emissions. The Wheel stops when you stop, eliminating idling and emissions caused by idling. Automatically engages when engine is running. Motor started by user pedaling. The Wheel is set to become a phenomenon. If you meet the criteria, and would like to be part of the revolution, simply fill out the form below and send it to us. We will contact you to discuss your interest and capabilities. Early dealer commitments will be supported with additional rebates and excellent deals for cooperative advertising. This is a truly fantastic product for use in Africa.